Julie ou La Nouvelle Héloïse: Lettres de deux amans, habitans d’une petite ville au pied des Alpes [Julie, or the New Heloise: Letters from two lovers, living in a small town at the foot of the Alps]. 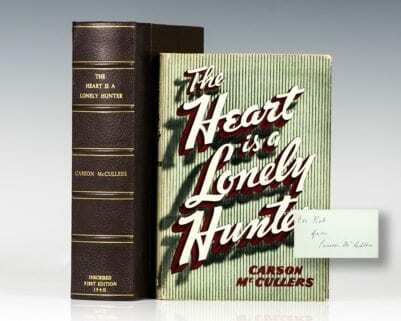 First edition of the first best-selling novel in history, which made Jean-Jacques Rousseau the world’s first celebrity author. 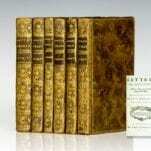 Octavo, six volumes, bound in contemporary full calf, gilt titles to the spine, marbled edges, marbled endpapers. An exceptional piece of literary history. Discours sur l’Origine et les Fondemens de l’Inégalité Parmi Les Hommes. (Discourse on the Origin and Basis of Inequality Among Men). 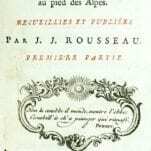 First edition of Rousseau’s discourse on social inequality and injustice. 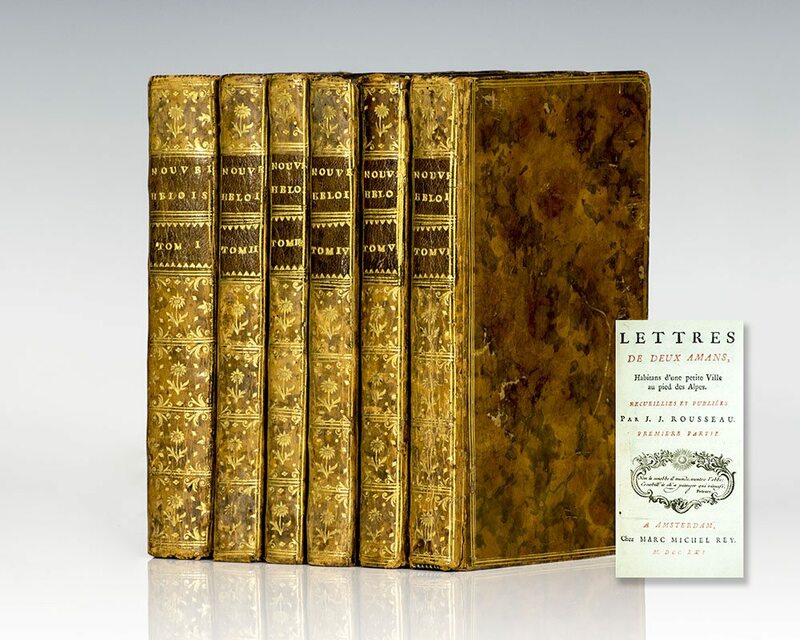 Octavo, bound in full contemporary sheep, gilt titles and tooling to the spine, orange spine label, engraved frontispiece and headpieces, errata leaf at rear. In very good condition.